The Sustainable Energy Authority of Ireland’s (SEAI) Energy Show 2016 takes place at the RDS, Dublin on Wednesday 6th and Thursday 7th of April. 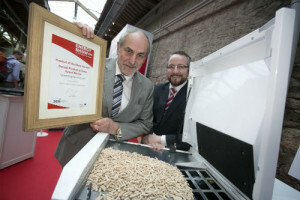 This annual two-day business event, which last year saw up to 200 companies exhibit their energy saving products and services, is the premier business energy exhibition in Ireland and a must for those interested in energy management and innovations in sustainable energy solutions. The event centres around the exhibition, where visitors can see anything from building energy management systems for large premises, to time and temperature controls for SMEs, or heat recovery systems, to high efficiency boilers and much more in between. There are also lots of additional events and features to experience at the Show including networking opportunities with international markets, an electric vehicle pavilion with free test drives of the latest models, best practice retrofit demonstration areas and a wide range of workshops and briefing events. The SEAI Energy Theatre, introduced to last year’s Show with free talks updating attendees on the latest policy and market developments in energy efficiency and renewable energy, will make a welcome return. • unlocking Ireland’s energy efficiency opportunity in meeting our 2020 targets. This packed agenda is free to all visitors and session details are available on: www.seai.ie/energyshow Last year the Energy Show brought together over 3,800 visitors, and many availed of the opportunity to link up with international markets. Representatives from a host of worldwide embassies and trade organisations will be available to meet with Irish companies to discuss business opportunities in countries including Argentina, Spain, Brazil, Canada, Denmark, France, Romania, Czech Republic and Israel. This represents a unique international networking opportunity and is a platform to develop overseas business and contacts. Countries will be present at scheduled times and full details are available on the website.